In 1998, Matthew Shepard was tied to a fence, beaten, and left to die on the outskirts of Laramie, Wyoming. He had been the victim of a homophobic hate crime that left the small town of Laramie reeling. His murder became a watershed moment in America, highlighting the violence and prejudice LGBT people face in contemporary society. 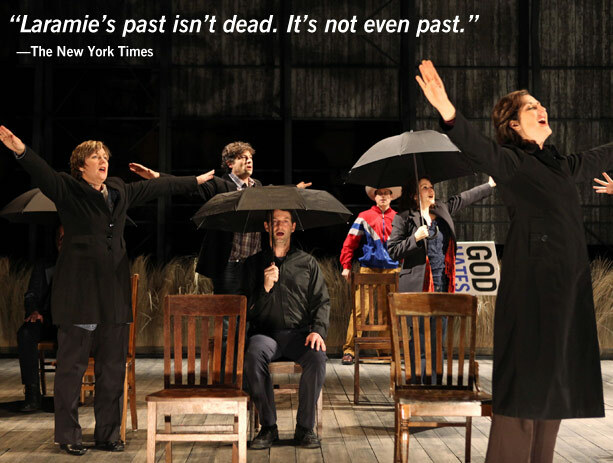 Meticulously crafted from hundreds of interviews conducted with the town’s residents over the course of a decade—including Matthew's mother, Judy Shepard, and his convicted killer Aaron McKinney—The Laramie Project Cycle is presented by Moisés Kaufman and members of Tectonic Theater Project. 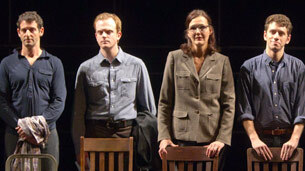 Pairing the company's acclaimed work The Laramie Project alongside its 2008 epilogue, The Laramie Project: Ten Years Later, this historic double bill examines a community's shaken self-understanding in the aftermath of tragedy and the temptation to rewrite history in the name of moving on. Bank of America cardholders save 10% on tickets for BAM 2013 Winter/Spring Season Theater productions*. Matthew Shepard’s mother, Judy, and director Moisés Kaufman reflect on Matthew’s legacy, increased awareness of gay rights, and their shared dedication to social justice, diversity awareness, and education. Moisés Kaufman is a playwright and a Tony- and Emmy-nominated director. Tectonic Theater Project is a collaborative group of theater artists.